Susanna Clarke's first offering is an innocuous champion amongst books, made all the more so by the author establishing a reader's expectations for bland, Victorian prose and the gentlemanly tropes you'd expect from a Jane Austen novel. Nevertheless, the novel is magically compelling: it hooks a hand into your belt buckle and pulls you along for a splendid renaissance of English magic and a fascinating look into the history of the once proud tradition and leading figures. In reading Clarke's novel one gets the sense of a greater world just beyond the view of the normal, as though the populace has developed a form of mystic-blocking cataract, and that old world can only be seen by looking through a prism of magical knowledge. Magic is an undercurrent undetectible to most, like a third dimension to the residents of Flatland, but it is incontrovertible presence for those who know where, and how, to look. Clarke depicts magic as a droll hobby for well-to-do-but-nothing-better-to-do Englishmen, who deem magic is something fun to discuss in a nigh-university setting, but not something that can, or should, be practiced. Magic, like many practices that have perished before it (alchemy, divination, et al), and other similar bogus means of robbery should (astrology, fortune telling, mutual funds), is doomed to become obsolete as a practice. 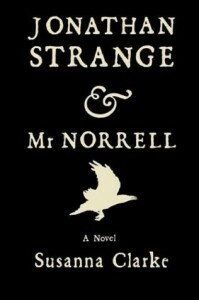 That is, until the reclusive Mr. Norrell decides to prove magic is real. How he does so is neither a Gandalf-slays-Balrog, nor a Harry-Potter-magic-wand-bolt, nor anything so showy and conspicuous, but is nevertheless powerfully convincing, and is made so solely by the strength of Clarke's prose. Without Clarke and her ability to write, the scene simply doesn't work. And this is the strength of the entire book: Clarke's ability to construct relatively unspectacular scenes that come screaming to life on the back of her writing. Couple this with extensive entries and anecdotes on the history of English magic (which include frequent references to the book's most fascinating, enigmatic, and invisible character: The Raven King, who is purportedly the greatest magic-using, non-magical-creature ever) contained largely in footnotes that often eat up the better part of a page, and you have a universe of characters, history, and events that Tolkien would have been proud to call his own.